On April 30, 2009 Chrysler announced it will file for Chapter 11 bankruptcy, on May 14 it released the list of dealerships that would close. Chrysler LLC wants to eliminate 789 of its U.S. 3,200 dealerships, saying in a bankruptcy court filing Thursday that the network is antiquated and has too many stores competing with each other. The company, in a motion filed with the U.S. Bankruptcy Court in New York, said many of the dealers' sales are too low. Just over 50 percent of the dealers account for about 90 percent of the company's U.S. sales, the motion said. 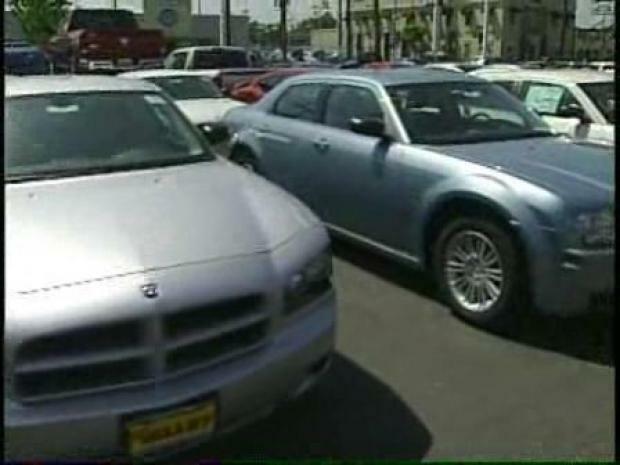 Chrysler LLC wants to eliminate 789 of its U.S. 3,200 dealerships, including some Southern California locations. The move, which the dealers can appeal, is likely to cause devastating affects in cities and towns across the country as thousands of jobs are lost and taxes are not paid. Chrysler spokeswoman Kathy Graham would not comment other than to say the company will notify dealers before speaking publicly. Chrysler dealerships aren't the only ones scheduled to get bad news this week. General Motors Corp. says it is notifying 1,100 dealers that it will not renew their franchise agreements when they expire at the end of September of 2010. In its motion, Chrysler said it has many dealerships that sell one or two of its brands, with Chrysler-Jeep dealerships competing against Dodge dealers as well as other automakers' stores across the country. Chrysler has received $4 billion in federal loans and has been operating in bankruptcy protection since April 30. Its sales this year are down 46 percent compared with the first four months of last year and it reported a $16.8 billion net loss for 2008.